‘Rooting’ is a common word in the Android world as rooting a smartphone gives you access to those features that you won’t ever get with a non-rooted device. These days, you need to first unlock bootloader of your smartphone to root the device. For that, the companies offer the service that provides unlock codes, and through them, you can unlock the bootloader. It is also a well-known fact that with an unlocked bootloader, you can flash custom ROMs on your phone, and this is impossible to do with a locked bootloader. Huawei, the third largest smartphone maker, is known for its impressive devices but soon, the company is going to stop its unlock code service which provides the code to unlock bootloader of the Huawei devices. This means that soon, you won’t be able to unlock the bootloader of your Huawei device and so, no more flashing of custom ROMs. 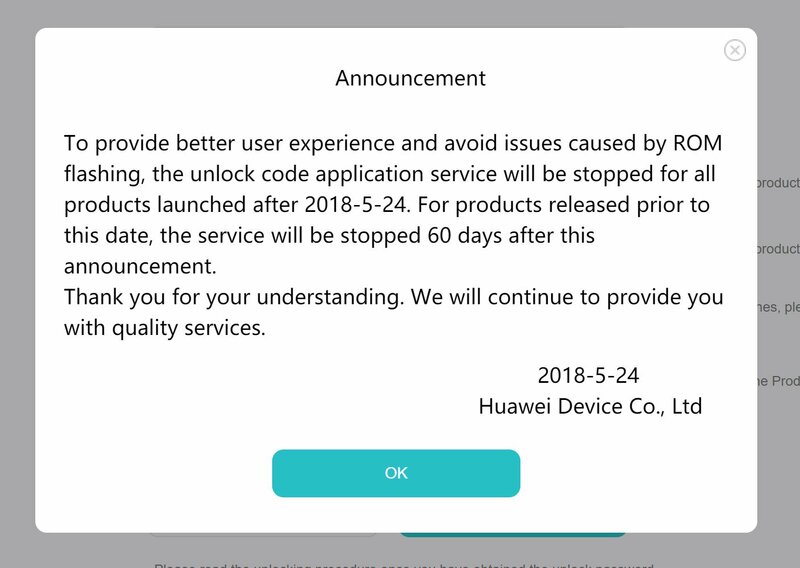 Huawei has issued an announcement that clearly says that the unlock code application service will be stopped for all the products launched after 24-5-2018, to provide better user experience and avoid issues caused by ROM flashing. Well, if you think that bootloaders of the phones launched before the date mentioned above are still going to be unlockable, then Huawei also mentions that the unlock service for the phones launched before May 25 will be stopped 60 days after this announcement. This is surely not good news for all the developers and the enthusiast who love to try out new custom ROMs on their devices. What are your views on this? Do let us know via the comments section.